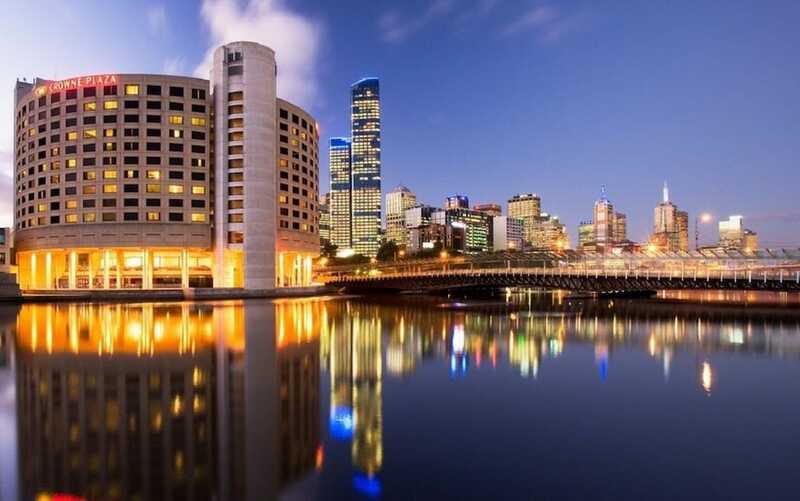 A stay at Crowne Plaza Melbourne places you in the heart of Melbourne, a 4-minute drive from Melbourne Convention and Exhibition Centre and 11 minutes from Marvel Stadium. This 4.5-star hotel is 1.6 mi (2.6 km) from Melbourne Central and 2.1 mi (3.4 km) from Royal Botanic Gardens. Make yourself at home in one of the 402 air-conditioned rooms featuring refrigerators and LCD televisions. Complimentary wireless Internet access is available to keep you connected. Private bathrooms have complimentary toiletries and hair dryers. Conveniences include phones, as well as safes and desks. Enjoy recreational amenities such as an outdoor pool and a 24-hour fitness center. Additional amenities at this hotel include complimentary wireless Internet access, concierge services, and a television in a common area. Enjoy local cuisine at Clarendon St Grill, a restaurant which features a bar, or stay in and take advantage of the 24-hour room service. Full breakfasts are available daily from 6:30 AM to 10:30 AM for a fee. Crowne Plaza Melbourne features an outdoor pool and a 24-hour fitness center. Dining options at the hotel include a restaurant and a coffee shop/café. A bar/lounge is on site where guests can unwind with a drink. A computer station is located on site and wired and wireless Internet access is complimentary. Business-related amenities at this 4.5-star property consist of a 24-hour business center and limo/town car service. This luxury hotel also offers tour/ticket assistance, multilingual staff, and concierge services. Onsite parking is available (surcharge). Clarendon St Grill - This restaurant specializes in local cuisine and serves breakfast and dinner. Guests can enjoy drinks at the bar. Open daily. Lobby Bar - This restaurant specializes in local cuisine and serves breakfast, lunch, and dinner. Guests can enjoy drinks at the bar. A children's menu is available. Happy hour is offered. Open daily. Pool access available from 6:30 AM to 10:30 PM.The property has connecting/adjoining rooms, which are subject to availability and can be requested by contacting the property using the number on the booking confirmation.